Here at Mel-O-Air Heating & Air Conditioning Inc. we only select the highest quality heating and cooling products. Rest assured that you will be presented options that run efficiently, save you money on utilities, and are the best fit for your home or office. Don't wait to get started! Call us today to have one of our comfort experts work with you to find the perfect system. Coupons & Promotions Save big on heating and cooling! We are constantly trying to help our loyal customers in Wheaton IL, Glendale Heights IL, Carol Stream IL, Winfield IL, Warrenville IL, & Glen Ellyn IL save money through seasonal promotions and offers. Check back regularly as our promotions do change. This is your chance to save on a new installation, or tune-up today! Whether you are looking for system installation, upkeep, or repair, Mel-O-Air Heating & Air Conditioning Inc. has you covered. Living in the Wheaton IL, Glendale Heights IL, Carol Stream IL, Winfield IL, Warrenville IL, & Glen Ellyn IL region means drastic seasonal changes. Don't be left in the heat, make sure your system is working properly. Browse through our services to learn more, or simply call today to get started! 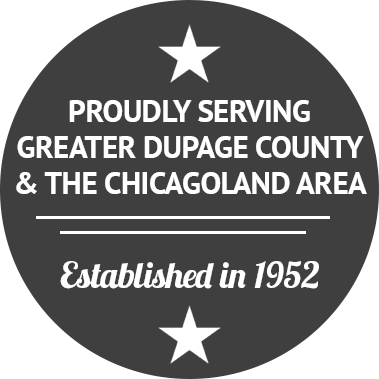 Since first established in 1952, Mel-O-Air Heating & Air Conditioning Inc. has protected the interests and comfort of home and business owners in Wheaton and across Wheaton IL, Glendale Heights IL, Carol Stream IL, Winfield IL, Warrenville IL, & Glen Ellyn IL with honest, expert, and affordable service. We provide solutions that improve the way you live, work, and enjoy our diverse local climate. 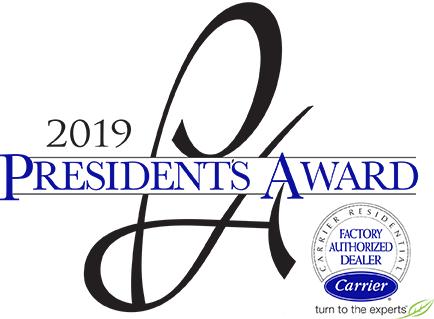 As a Carrier Factory Authorized Dealer, Mel-O-Air Heating & Air Conditioning Inc. is your single source for all of your residential and commercial HVAC needs, from designing the ideal heating and cooling system to installation, service, and ongoing maintenance. Less than 5% of heating and cooling professionals in the country earn the distinction of factory endorsement. By meeting rigorous national criteria in all facets of business, including local licenses, insurance, liability, warranty obligations, product knowledge, and customer dedication, we bring you higher quality products, more knowledgeable service, and greater return from your investment. With years of in-field experience and continued factory training, our team of technicians handle the most difficult challenge with straightforward, effective solutions. 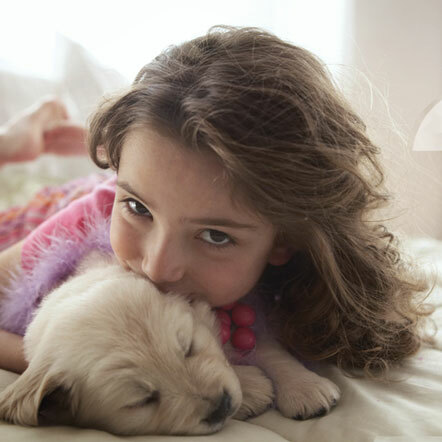 Call 630-517-5437 today for more information about our A/C and furnace installation options! Due to separate service and installation departments, our EPA and NATE-certified technicians are specialized to better serve your specific needs. North American Technician Excellence (NATE) is an independent, industry-recognized organization designed to distinguish dedicated professionals who are proficient in proper HVAC installation, maintenance, and repair. NATE-certification tests represent real working knowledge of HVAC systems and ensure that consumers will receive proper service, saving time, energy and money, and providing better long term results. 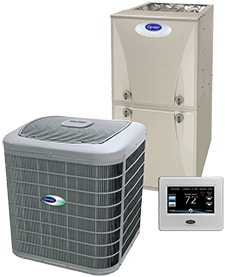 The team from Mel-O-Air Heating & Air Conditioning Inc. is fully licensed, bonded, and insured, and extensively trained in residential, commercial, and light industrial heating and cooling systems. Our large warehouse provides access to a full range of inventory and parts. An on-site, fully equipped sheet metal shop enables fabrication of all types of sheet metal duct work, flashing, and architectural sheet metal. 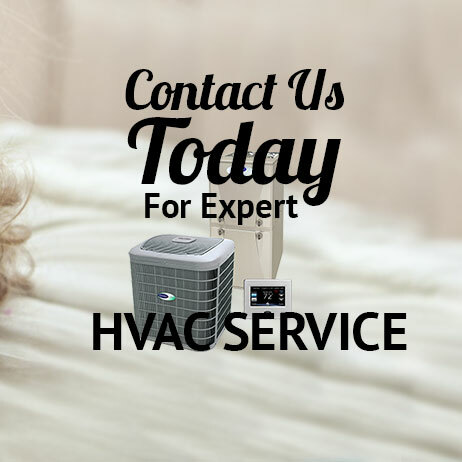 Contact our professional team today and get the exceptional HVAC service you deserve! At Mel-O-Air Heating & Air Conditioning Inc. our service and installation department work together in a shared commitment to quality. We take pride in our work and the results, earning an A+ rating by the Better Business Bureau through unfailing dedication to customer service. Whether you are looking for installation, maintenance, or repair, there’s never a need to look further than Mel-O-Air Heating & Air Conditioning Inc.. Our fleet of 14 fully stocked trucks are standing by, 24-hours-a-day, 7-days-a-week, to provide the prompt, dependable service you need to enjoy precise and efficient temperature control. Emergency Service, comprehensive maintenance plans, and custom design/build are all handled with unwavering professionalism. Conscientious workmanship, organized product management, and the retrieval of all discarded equipment and debris ensures that your very highest expectations are met with both immediate and lasting results. There’s no need to wait a minute longer to enjoy the superior comfort you deserve. Call Mel-O-Air Heating & Air Conditioning Inc. today.